My son had another baseball game today. Would this be the day that he breaks out of his slump and his whoa is me attitude? He was the starting catcher today so he was in a much better mood. He was still the lead off hitter so he was thrilled about that too. He took a much better attitude to the plate today. He faced a tough pitcher to start the game. He ended up hitting a long fly ball to the opposite field. The left fielder tracked it well and caught it in the gap. I looked to see my son's expression. He looked pleased. He commented to me as he ran by, "I just missed that one, oh well." He saw 8 pitches during a his next at bat in the 3rd inning. He ended up walking and eventually scoring. He was thrilled about his at bat. My son had two tough tag plays at home to keep the game close. Confidence was building. His last at bat came in the last inning in the dark against a flamethrower who had struck out 4 of the last 6 batters. I thought to myself, that this is not an ideal situation to try to break a slump. The pitcher started my son off with a fastball belt high. My son took the pitch to gauge the speed. Strike One. My son took a huge swing on the second pitch but missed the 70 mph fastball. Strike Two. The next pitch was a 40 mph change up. My son started his swing then stopped, then fouled it off at the last second. He had a toothy smile because he knew he just got lucky against an outstanding pitch. The count remained at 0-2. He was still smiling as the fourth pitch, another 70 fastball, went wide for a ball. The fifth pitch was another 70 mph fastball down the middle up, my son fouled it straight back. I could see that my son was feeling proud. The last pitch was another fastball, this time down and in. My son turned on it and drilled it down the line pass the 1st baseman for a single. The flamethrower stuck out the next batter to end the game. As my son crossed the diamond to go back to the dugout, he went up to the pitcher and told him that he was the best pitcher he has ever faced. The kid said thanks. He told my son, "You know not many get hits off of me and nobody pulls the ball on me. Nice at bat." Baseball takes incredible concentration. If your son or daughter is distracted they will not succeed. Baseball take a short memory. 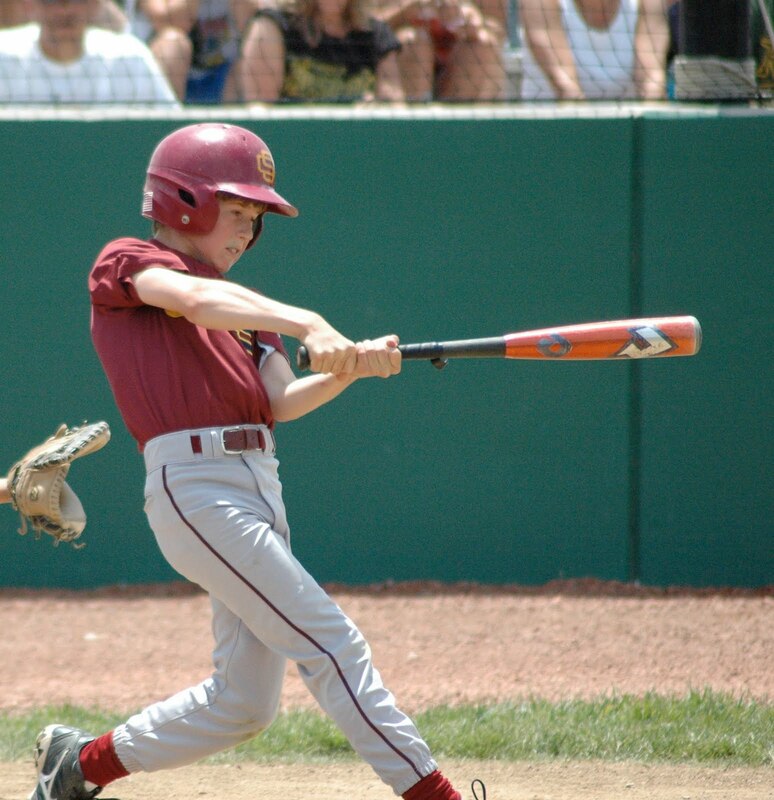 If your son or daughter are still thinking about the last at bat or last error, they will not succeed. Baseball takes confidence. Help build up your kid's confidence.